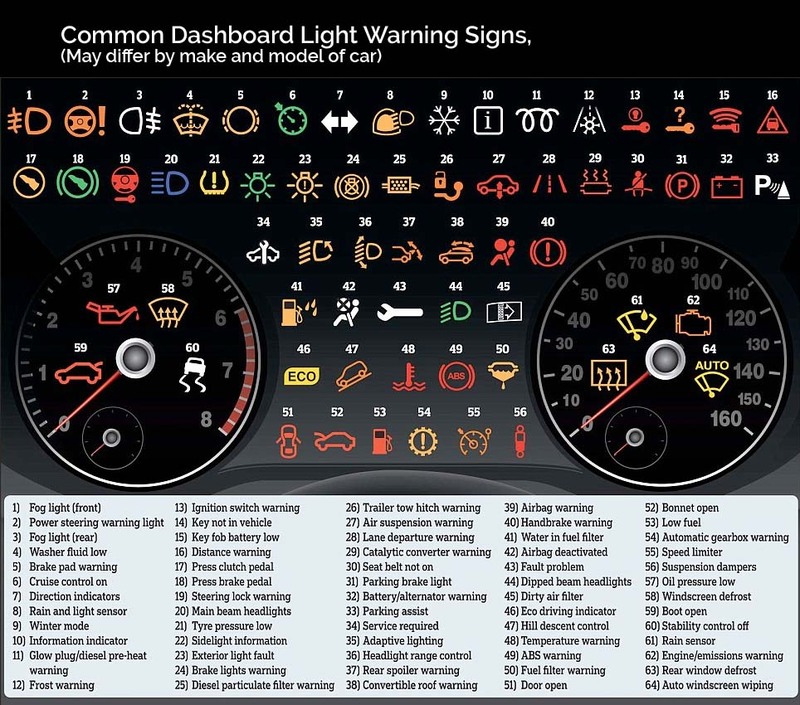 Do You Have Any Dashboard Warning Lights Staying On Whilst Driving? It is normal for dashboard warning lights to come on when you turn the ignition key. However is any warning lights stay on once the engine is started then it’s a sure sign that you have a problem. How serious the problem will depend on which lights remain on. Some may be indicators to show you are low on petrol, windscreen water, coolent etc, which simply indicate that its time to top them up. Others may indicate that something needs replacing like a headlight, sidelight or tail light. 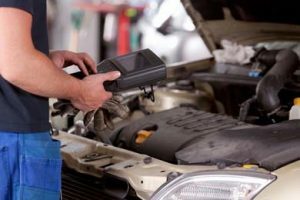 The ones that you really have to pay attention to are the one that indicate that there may be a problem with the engine or one of it’s main components, in which case you may need to stop immediately as it may no longer be safe to drive. It’s always best to consult the manual that came with the car to discover what the warning light for your car means. However if you don’t have your manual to hand you can simply check the the chart below. If you are not sure if it’s safe to drive your car as you don’t understand what the warning sign means then it’s always to err on the side of caution and give Ellis Motors a call. You will be reassured and advised on the best course of action to take. If the engine light is showing (62) then you need an engine diagnosis check which is done by plugging a special computer device into your cars on-board management system to determine the real cause of the problem. Book An Engine Management Diagnostic check Online or just give Ellis Motors a call. Simply Call Tel 01444 480606 Today! NextNext post:Want Better Performance From Your Car?